As we enter 2019, two emotions seem to be dominant: political pessimism and personal anxiety. These feelings are rooted in the dysfunctions of government and economic instability, both of which are legitimate concerns. Yet in my work and travels around the globe, I’ve had the privilege to see how extraordinary people facing the worst of circumstances can exude the very opposite emotions. 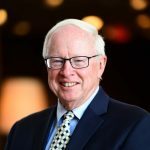 This year, CRCC is continuing to explore the work of Catholic sisters and launching a new project about how engaged spirituality motivates and sustains exemplary individuals around the globe. Both of these projects reveal how people draw on the resources of their faith and spirituality to do heroic things. 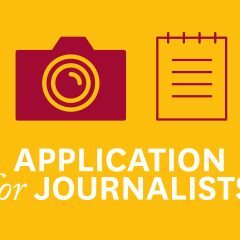 Within the course of a single week in December for these projects, I interviewed two “spiritual exemplars”—one in Northern Uganda and the other in Rwanda—that put my own angst in perspective. In 1986, Sister Rosemary Nyirumbe returned to Gulu in Northern Uganda to encounter hundreds of women who had been kidnapped by Joseph Kony’s Lord’s Resistance Army and taken as wives for his soldiers. Along with children who had been abducted to fight on the front lines against the government troops of President Museveni, these women had escaped from the rebels, often carrying children they had born in captivity. They were homeless, impoverished and rejected by the local population, as were their children, who were stigmatized as the offspring of the rebels. Sister Rosemary established a workshop where the young women learned skills as tailors and developed an industry of making purses out of the flip tops of soda cans. Very shortly, she realized that the children of these women and the orphans roaming the streets needed a school. And they also needed a medical clinic. Saint Monica’s convent became the center for a cluster of social services. 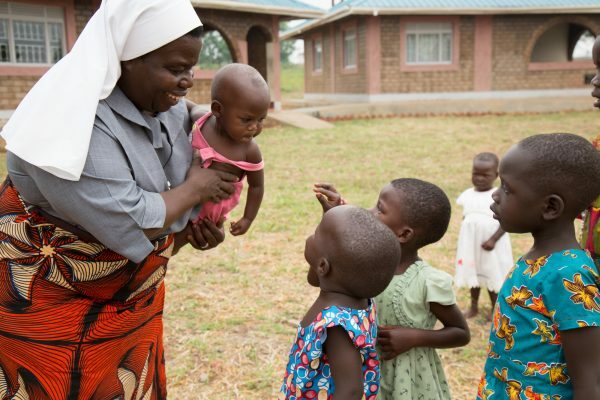 In recognition of these accomplishments, Sister Rosemary was given the CNN Super Heroes Award. She used the $40,000 prize money to buy property in Atiak, an area close to the border with South Sudan. This is where I met her. Because of ongoing conflict in the region, migrants from South Sudan live in camps in Atiak along with thousands of impoverished children, many of them without parents—or at least fathers. 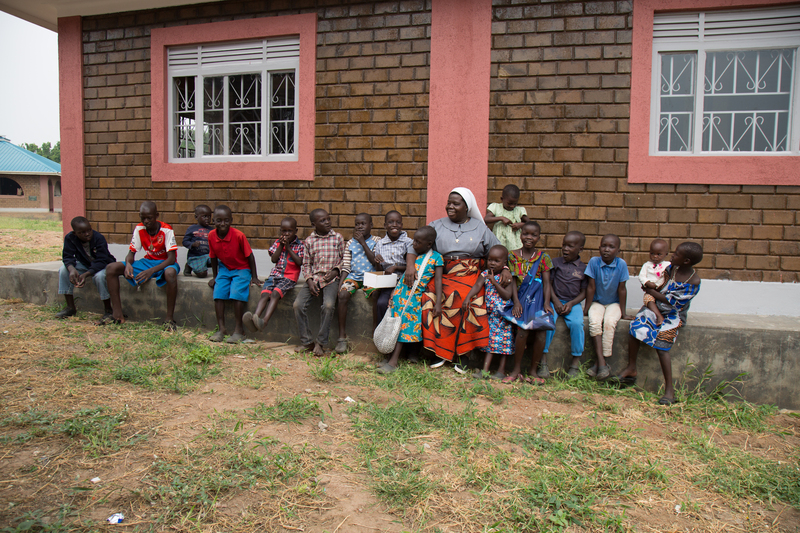 Sister Rosemary built a village of small houses with two bedrooms and a kitchen around a central play area. In each house, ten children live with a surrogate mother and sometimes the mother’s own child. And a stone’s throw from this circular village is a school and clinic. Nearby she is developing a 100-acre farm and a petrol station to earn money to support the children, school and clinic. Less than one week later, I was in Kigali, Rwanda, visiting with Jean Gakwandi, a survivor of the 1994 genocide and the director of Solace Ministries. 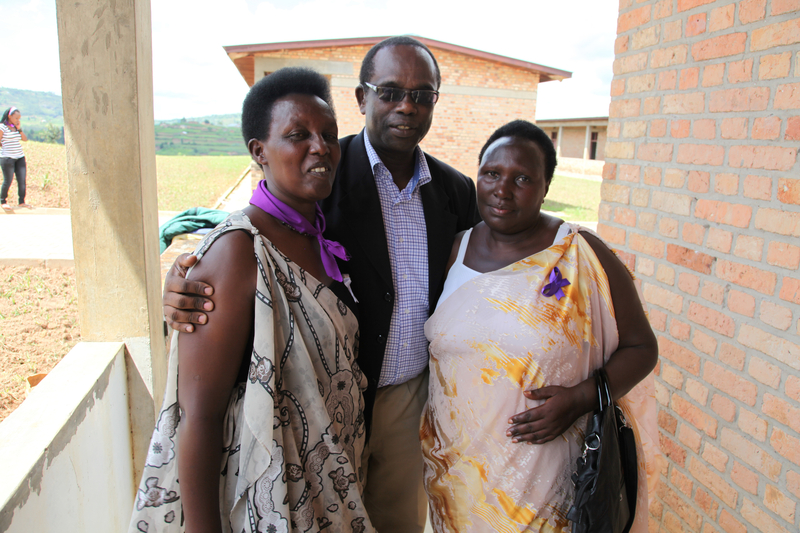 After the genocide, Jean started gathering women who had been made widows in the genocide. They were homeless, traumatized and impoverished. Week after week, he invited them to tell what happened during the genocide. They would cry, and he would weep with them. Initially, a handful of survivors gathered, and they became dozens and then hundreds. As much as they needed food and shelter, they needed someone to listen. They needed comfort. When I first met Jean in 2001, Solace Ministries was caring for orphans, widows and women who had been raped and inflicted with AIDS during the 100 days of the genocide. (You can see an archive of my interviews from Rwanda here.) With meager resources, Solace was supplying food, housing and limited medical care. Today, there are 60 Solace communities in Rwanda. Each one functions as an extended family for survivors in the area. Jean also has established a thriving medical clinic, and he has completed the skeletal structure of a 40-bed hospital, exercising faith that the remaining funds will be procured so that this hospital can become a model of care for the community and East Africa more generally. What do Jean and Sister Rosemary have in common? In the face of extremely challenging circumstances, both had a vision for an alternative reality for traumatized, impoverished people. Rosemary said that she and her fellow sisters at St. Monica’s convent wanted to restore women and children’s dignity as human beings. When I probed Sister Rosemary about her mission in life, she immediately referenced the commitment of Catholic sisters, which is “service above self.” This notion of service is honed during “formation” in the years before sisters take final vows—that period when they fully embrace the charism (mission) of their community and decide if this is the life to which they are called. She defined the vow of poverty as one in which a sister does not work for pay, but in fulfillment of the vocation to which she is called by God. I asked both Jean and Sister Rosemary how they sustain their commitment and vision, avoiding burnout, pessimism and cynicism. Rosemary said the secret lies in the communal life of sisters. They rise at 5:30 or earlier to pray and meditate, followed by mass and meals together. They close the day with prayer as well. Jean described a transformative moment in his late teens—what might be called a conversion experience—in which he was freed from anger. Because of their Tutsi ethnicity, his family’s house was burned and his father’s business looted. He suffered from insomnia, putting himself to sleep each night by drinking. The morning after this spiritual encounter, he had a peace that never left him—even during the genocide. The lives of both Jean and Sister Rosemary are not without stress. In fact, Jean often wakes up in the middle of the night, worrying about something. It is during these times that he “wrestles” with God until an answer comes. He sees these as sacred moments. And he wakes up with a spirit of compassion, empathy for people and determination to move forward. 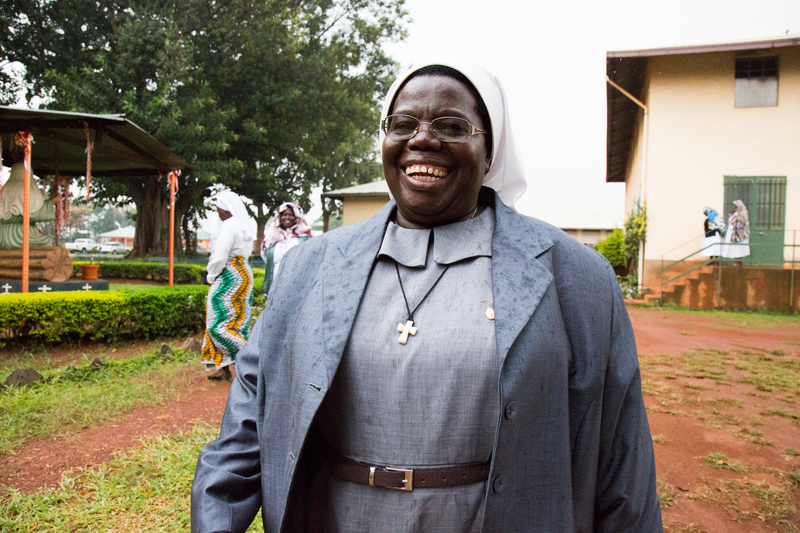 The primary characteristic of Sister Rosemary is her laughter and joy. She is magnetic. When we visited the children’s village in Atiak, the orphan kids hung all over her, wanting to be touched and hugged. She told me that while she took a vow of chastity, she has been blessed with hundreds of children. Pessimism, cynicism, despair—these words are not in the vocabulary of spiritual exemplars such as Sister Rosemary and Jean. Instead, I kept hearing the words hope, compassion and love. What really struck me was their entrepreneurial spirit in the face of poverty and trauma. Perhaps visionary action is an antidote to paralyzing anxiety and fear.